In the Petrie Museum there is a rather spectacular display cabinet containing 8 of the Fayum Mummy Portraits from the museum’s collection. These are portraits of the deceased, painted on wooden boards and placed on the mummified remains of respected elders, dear friends, and loved ones. These objects in particular are from a collection of 146 such portraits that were found and taken by Flinders Petrie from the Hawara Cemetery in 1888. They are some of my favourite objects in the museum’s collection because of how beautifully preserved they are and how well they connect visitors to the people who we now study. Fayum Portraits are a burial practice from the Graeco-Roman Period (c. 332 BC – 395 AD) that has been found in excavation sites across Ancient Egypt but particularly in the Faiyum Basin, which is just West of the Nile and South of Cairo. They are thought to have originated during the Roman occupation of Egypt and exist in a long tradition of preserving the image of the deceased upon their death. This tradition includes death masks that were used in the process of mummification in Ancient Egypt but also for references for sculptors in the Middle Ages and then later as an aid to identify unknown corpses. Roman Images were small impressions or masks of the deceased that were kept in the family home alongside inscriptions of their achievements. In Victorian England, death portraits were photographs taken the day after death and provided a memento mori for families to help them remember what their loved one looked like. Mummy Portrait UC19609 (I tried to write an amusing caption for this image but couldn’t really see past the monobrow, which I imagine wasn’t as much of a talking point during their lifetime). 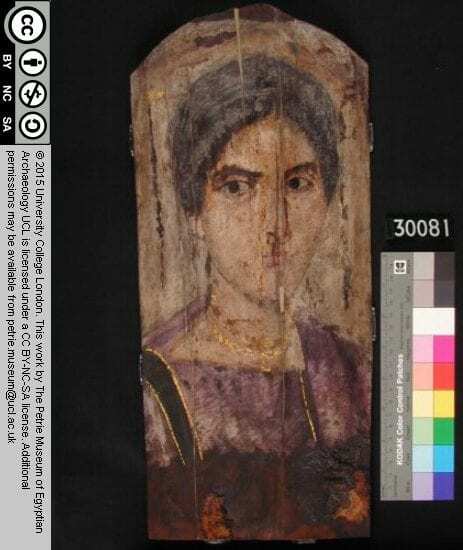 What I love about the Fayum portraits is how full of life they are. The subjects are painted with their eyes open and their faces full of personality. In much the same way, the subjects of Victorian death portraits were positioned as if playing or interacting with living family members. 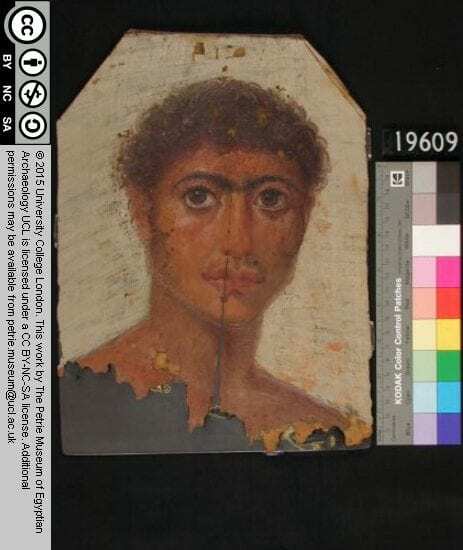 I think the Fayum portraits show that the desire to see someone you were close to alive again—and to remember them as they were before they passed—is one that transcends time period and culture creating a strong connection to the people who lived two and a half millennia ago. When the museum is quiet, I like to look at the portraits and imagine the people they depict. I haven’t yet reached the point of actually talking to them, but I have constructed personalities, preferences, and opinions for each. Especially in the context of the Petrie Museum, where you are surrounded by objects held and used by people who lived in Ancient Egypt and Kush, I think you get a unique reminder that the contents of museums like this one were made by and for real people. Mummy Portrait UC30081 giving you some serious side eye. The displays in the Petrie Museum showcase many different aspects of everyday life, from small things like cooking and catching rats, to grander ideas of religion and law. As amazing as that is, I think the idea that you can actually look into the eyes of someone who lived in Ancient Egypt is one of the best experiences that a visit to the museum can give you.